Swan is pleased to announce its new partnership with Palo Alto Networks, the industry leader in next-generation firewall technology. 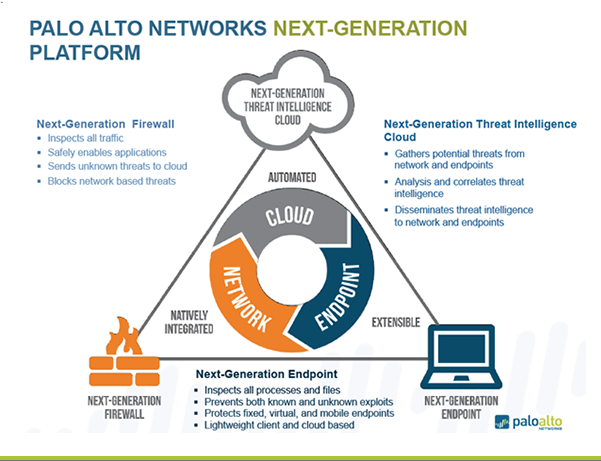 Palo Alto's next-generation firewalls enable enterprises to identify and control applications, users, and content - not just ports, IP addresses or packets - using three unique identification technologies: App-ID, User-ID, and Content-ID. These identification technologies allow enterprises to securely enable application usage using business-relevant concepts, instead of following the traditional "all-or-nothing" approach offered by traditional port-blocking firewalls used in many security infrastructures. Palo Alto Networks' cutting edge technologies fall in line with Swan Solution's commitment to providing its customers with the best-of-breed, next-generation technologies needed to meet today's business demands.